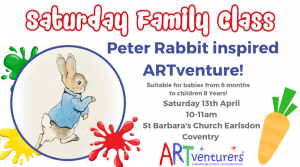 Saturday Family Fun Class April – Peter Rabbit ARTventure! Join us for our BRAND new sparkly Family Saturday Family Fun Class in April!!! These classes are suitable for babies aged 6 months to children aged 9 years! 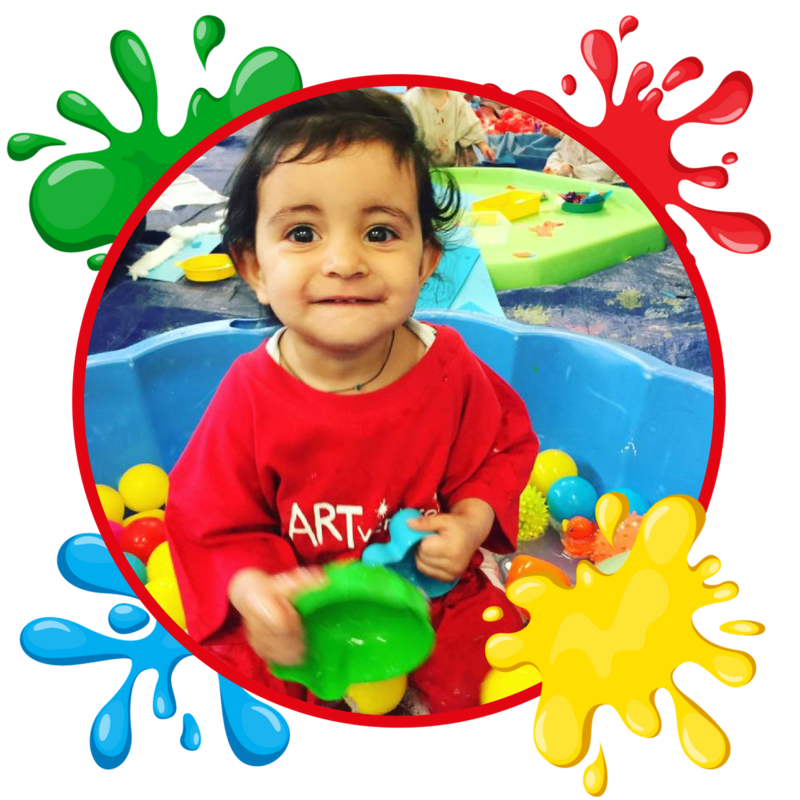 Oodles of creative and fun activities to ignite your little ones imagination and to help develop their art skills! Our class takes place in St Barbara’s Church in Earlsdon Coventry – a lovely hall with free parking! You can block book the Saturday classes which offer a discount or just come along to one which is £8.50 each! 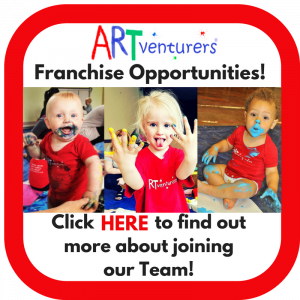 ← Saturday Family Fun Class March – Mother Day Fun!